BENNINGTON, Vt. — Voters in this very liberal, very white state made Kiah Morris a pioneer when in 2014 they elected her as its first black female legislator. Not long after, another Vermont surfaced: racist threats that eventually forced her to leave office in fear and frustration. "There's obviously online harassment that can happen, and that's a part of our social media world right now, but then when things started happening in everyday life, that's when it becomes really worrisome and terrifying," she said in a recent interview with The Associated Press. 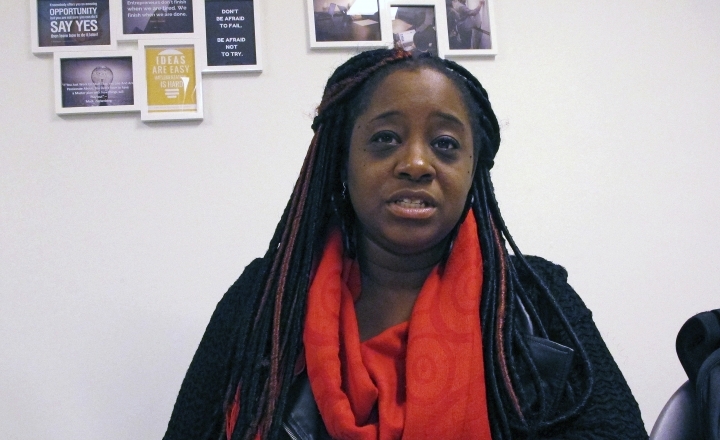 "This is deep racism coming out, and there are Vermonters hunting down other Vermonters here. This is awful for our state," she said. "Rather than shake our heads and say, 'Oh, what a shame,' we all need to buckle down and figure out what steps we can take, what steps each of us can take, however large or small, to erode some of the system that allow racism to continue." "Racism and racial animus is a chronic illness of this country. It's not something that just comes in waves in certain places. It's always there simmering," said Gloria Browne-Marshall, a professor of constitutional law at New York's John Jay College of Criminal Justice and author of the book "Race, Law and American Society: 1607 to Present." "In a state that wants to promote itself as this liberal bastion, the majority of people outraged should have been there protecting" Morris, Browne-Marshall said. When independent U.S. Sen. Bernie Sanders, who despite a liberal pedigree has struggled to connect with black voters, learned that Morris was not seeking re-election because of the threats, he called the situation outrageous and, in a statement to The Burlington Free Press, said it is "not what Vermont is about." "In the state of Vermont, no elected official, candidate or person should be fearful of their safety because of the color of their skin or their point of view," he wrote. "This corrosion of political discourse is destructive to our democracy, and we cannot let it take hold." "I cannot be the legislator that I want to be. I cannot speak my truth in the way that needs to have been said," she said. "I cannot do those things and be secure and be assured of the safety for myself and my family. And that is really unfortunate."